Myth #1 — A general power of attorney will allow my spouse to take any action that I could take. False. General powers of attorney are often not accepted by corporations, agencies and institutions. Any organization to whom a power of attorney is presented may choose to refuse to honor a general power of attorney. A specific power of attorney is more likely to be accepted. Myth #2 — I can get certified copies of my legal documents at Legal Assistance. False. To obtain a certified copy of a document, you must request a certified copy from the source that holds the original document. For example, if I were born in Dade County, Florida, I should request a certified copy of my birth certificate from Dade County clerk’s office. Myth #3 — The military will provide a lawyer to represent me for my divorce. False. Legal Assistance attorneys are not allowed to represent you in court. If you are considering divorce, the first step is to contact the Military Family Life Counselors and talk about your relationship. The attorneys at the legal assistance office can advise you about the procedures and consequences of divorce, but are unable to represent you in court. Myth #4 — I can quit paying my cell phone and internet bill whenever I deploy or PCS as long as I send in my orders. False. In the United States, the Service members Civil Relief Act allows you to break some contracts with military orders. However, the SCRA only applies to United States companies. German companies are not required by law to release you from a contract, regardless of whether or not you have orders. Myth #5 — I received a letter in the mail that says I have to appear at court, but I’m stationed in Europe, so I can ignore it. False. As soon as you are notified of a court date, you need to stop by your legal assistance office. Being stationed in Europe does not relieve you of court orders, but the legal assistance office may be able to help you contact the court to request a stay of court proceedings and schedule a time when you can appear. Myth #6 — I don’t need a will, because I have the SGLI. False. Anyone who is married, or who has children, or who owns real property should consider making a will. The SGLI is important, but it is not a substitute for a will. Myth #7 — I just got married here in Germany, my German spouse can PCS with me stateside because we are married and my spouse is on my military orders. False. Any family member who is not a U.S. citizen must have a visa to move to the United States. This requires a lot of paperwork and the visa process often takes more than six months. 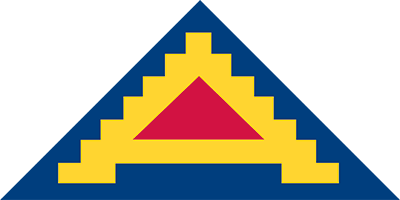 Information is available at the Rose Barracks ACS Immigration Briefing, at 11 a.m., the third Wednesday of every month. Military orders alone are not sufficient to allow a non-citizen to immigrate to the United States. To schedule an appointment at the 7th Army JMTC Legal Assistance Office, visit www.eur.army.mil/jmtc/SJA.html. For more, check our Facebook page at www.facebook.com/BavariaOSJA.